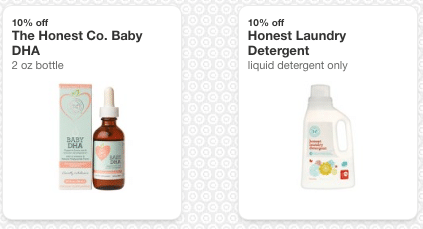 Target just released two new rare The Honest Co. coupons! Their 70 oz. laundry detergent is $12.99 at Target, so $11.69 after coupon. Their Baby DHA is $19.99, so $17.99 after coupon. These coupons don’t expire until 12/5, so you can clip the now and wait for a sale as well.